The UK is now the world leader in offshore wind energy. 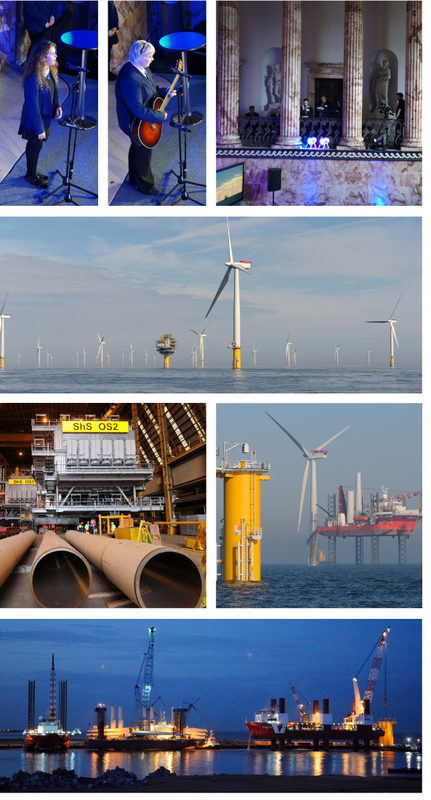 The latest wind farm to open in 2012 is Sheringham Shoal off the Norfolk coast, run by Scira – a joint collaboration between Statoil and Statkraft. Their investment in the UK energy sector is hugely important. This was reflected in the guest list, which included His Royal Highness The Crown Prince Haakon of Norway alongside ministers, diplomats, ambassadors and business executives. Working with our client, Enigma, and the two Norwegian companies, Intuitive developed a stunning one-day event at Holkham Hall, the beautiful stately home to Lord and Lady Coke, situated in Wells-Next-The-Sea where the Shoal’s operations centre is based. The Hall provided the perfect backdrop to this grand opening but its rural location presented some interesting logistical challenges to overcome. Our VIP guests were brought in by helicopter from Norwich and treated to a fly-over of the wind-farm whilst the other guests enjoyed a breakfast reception. Along with Lord and Lady Coke, local school children greeted the Royal party and a banquet was prepared with local produce before the main event kicked off. With 100 guests arriving via train, air and car from various locations and an incredibly tight schedule, the event had to be planned with military precision. Security was provided by the local police and SO14 with our Ghurka friends securing the expansive estate. The opening ceremony was hosted by the BBC’s Sonali Shah and included ‘interviews’ with key stakeholders and a sensational musical performance by local school children. A VT capturing that morning’s helicopter trip and Holkham reception, quickly edited as the presentations got underway, marked the moment for the Crown Prince to formally open the Shoal. Rounding off the day was a dazzling dance show by Cirque Bijou with mesmerizing music from the world-famous Boxettes. In order for our guests to catch their returning connections, we had just 20mins to load coaches, cars and helicopters and race back to Norwich (police escorts on standby should they be needed). Everything went without a hitch and 1hr after the end of the press launch, the venue was cleared and being turned around for another event that evening! Despite the short duration of the event (or perhaps because of it), Intuitive had over 140 crew and staff on site, from caterers to security personnel, performers and production teams as well as our own core team of project and logistics managers. Quite a team! We’re proud of our association with Enigma and Statoil and can’t wait to get our teeth stuck into their next event! Statoil is a client of Enigma Creative Solutions Ltd. Intuitive supported Enigma in the event design, production and event management of this project.